Put your consumer hat on for a moment. Think about the last time you booked travel, bought a holiday gift, ordered flowers, or applied for a new credit card. Online or offline – doesn’t matter. What’s notable about that experience? What do you remember about it? Something? Nothing? Every brand delivers an experience to customers and prospects, consciously or unconsciously. 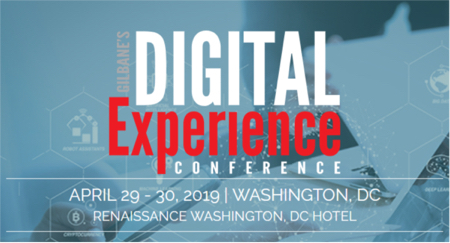 At Digital Clarity Group (DCG), we define experience as “the totality of interactions through all channels and touch points over the entire life of the relationship.” Experience happens by default. As consumers, we always remember the bad. We might remember the good. We mostly forget the vast majority of experience that’s just mediocre. Which is not great if you’re a brand spending lots of money to leave a good impression. Consciously managing the experience is the only way that a brand can bias the experience for the right business outcome. Consistently good experiences are not accidental. Only when experience is deliberately managed does it become repeatable, predictable, measurable, and capable of being improved and optimized. The business practice of holistically managing the customer experience across channels is new, and therefore hard and mysterious. One of the many reasons it’s hard is that you cannot just throw technology at it and get results. Today there is no such thing as an out-of-the-box solution for experience management. It’s mysterious because successful paths (by way of repeatable best practices) are still being cut by the pioneers. Who’s caught between the proverbial rock and hard place? Chief marketing officers, digital marketers, customer experience champions, LOB owners, newly-minted data scientists, marketing technologies, IT – yep, everyone who feels the pressure that customers are putting on them for higher-quality, more meaningful engagement. They want to move forward, know they need to move forward. But they are frequently overwhelmed by identifying the right starting point for CEM. In DCG’s work with our enterprise clients, we see another obstacle that presents an even bigger risk. It’s not just that getting started can be overwhelming – it’s also that too many companies are responding to contemporary CEM challenges with legacy practices, processes, and technologies that are misaligned with the new world order imposed by empowered consumers. Doing more of the same, just bigger, faster, better, is a sure path to obsolescence. It’s time for fundamental change. Presumably your organization cares about having customers. If that’s the case, then addressing the risk of unmanaged – or mismanaged – experience must be a top strategic goal moving forward.